Jolly Good Gaming - Jolly Good Game Club Go! Not great but there is potential. Absolutely dire, just end yourself now. I'm not even going to listen, I'm just reading random threads through complete boredom. PostJolly Good Gaming - Jolly Good Game Club Go! 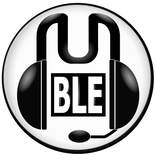 Retained below is the original Jolly Good Gaming podcast post, but I want to leave a note that we are aiming to do much more with Jolly Good Gaming over the next few months. A lot more. Like a Game Club, check it out over here. Afternoon chaps, I've recently had a pop at this whole 'podcast' malarkey. After having recorded quite a few as simply a voice I decided to have a go at the whole planning and editing process, so I put this one together with a friend. It was a little slap dash, and that comes through in the opening sections especially, it gets significantly better as it goes on, but if you could give it a listen and tell me useful things (I know some of the backing music is too loud, that will be fixed in any new ones we do) I can hopefully improve the whole thing for the future. It’s that tricky third album (podcast)! But no need to worry, for we are artistic geniuses of the highest order. Zelda, Shadows of the Damned, Resident Evil Mercenaries 3D and that most pressing of topics, Ghost Squad, are all blasted in currently playing. The news looks at some Australians, some Americans and more besides, while a panel show type design caps the show off with some GRcade regulars. This audible experience is rounded off with our usual contributors and bizarre tangents melding together to create just over an hours worth of incredi-tainment. Marvelous! I didn’t get enough (any) bad feedback about the first episode and I actually did get some good feedback, so here’s our second attempt! Pwoar! Getting brave. In this second episode James and Steve cover a lot of topics, from Portal 2, to The Witcher 2: Assassins of Kings, to Space Invaders, to Mortal Kombat, and that’s just what they’re currently playing. In the news they have a quick giggle at Sony before speculating about just what project Cafe is, while a very special interview caps off an episode that also includes Gears 3 beta impressions and an important public service announcement about Sonic Generations. Positively bulging at the seams! In Episode 1 James and Steve discuss No More Heroes and the inimitable Duke before moving on to moan about Capcom’s recent press event, Captivate. This episode is topped off with a series of interviews including one from a special sneaky guest. Last edited by Dalagonash on Sat Feb 18, 2012 11:47 pm, edited 8 times in total. 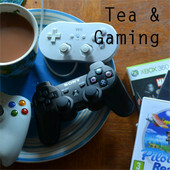 PostRe: I made a Podcast - Jolly Good Gaming - Episode 2 now up. And here I added a poll expecting a battering. I'm going to give episode one a listen now. Question: Why has your episode two image of Jolly Good Gaming replaced the 360 controller with a Wavebird? Zellery wrote: I'm going to give episode one a listen now. Because I'm cool and wacky. I'm sure I had some more in depth reasons... Probably because there was Cafe talk and 'traditional controller's came up. The Solid Snake interview is brilliant. Magius wrote: The Solid Snake interview is brilliant. Hah! We had a lot of fun with that thanks for giving it a listen! PostRe: I made a Podcast - Jolly Good Gaming - Episode 3 UP NOW. E3 Special and Episode 3 added to the first post. Hahaha Karl is a half loser. What did everyone think of that gameshow style segment? Am going to release the gameshow seperately one day soon as well as the next ep. We've recorded three new episodes, three, in a new streamlined format. Some might even go as far as to say it's been consolised. F'narr. I've just listened to the one with the quiz, that was very funny. We should do that again sometime, how about Gaming Just a Minute? Funny you should bump this now, am considering doing more with JGG soon! And yes, more podcasty bits. Will likely do more gameshow stuff. PostRe: Jolly Good Gaming - Jolly Good Game Club Go!. PostRe: Jolly Good Gaming - Jolly Good Game Club Go! "It's like Never Mind The Buzzcocks but without the... buzzcocks"
Just checking out ep3 now first impressions are good.